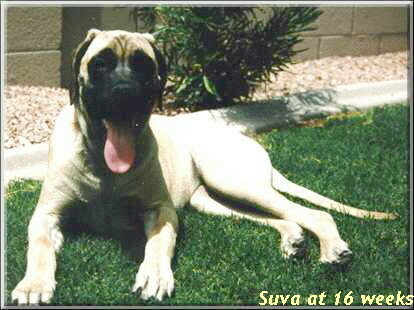 THE AMERICAN MASTIFF looks identical to the English mastiff in color, shape, size, etc. however, they have a much dryer mouth due to out-crossing early on in the history of the breed. They are very much the "gentle giant." These wonderful dogs love children and are totally devoted to their family. wise, kind and gentle, they are patient and understanding, very loving with their own people. They are accepting and non-aggressive to your friends, visitors (and the postman), however if anyone threatens their family, especially the children, this dog will gladly give its life defending them. We insist on our puppies going only to loving homes where they will be part of the family. They are easily housetrained using the same training methods used for any puppy. They need to live in the house and be part of the family. They are content and happy when with their family. The Flying W Farms American Mastiff (TM) was developed over many years of selective breeding by Fredericka Wagner of Flying W Farms, Piketon, Ohio. The goal was to develop a dog that had the size, temperament, disposition, and the appearance of the Mastiff, but with fewer health problems, and much dryer mouth than other mastiff breeds. 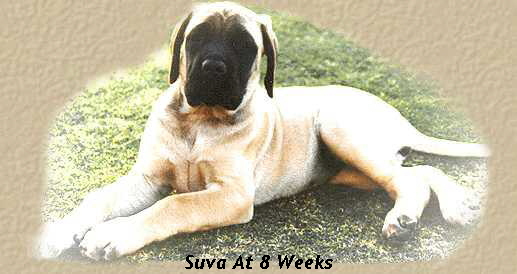 This was accomplished by crossing the English Mastiff with the Anatolian Mastiff during the early development of the breed. CKC recognized the AMERICAN MASTIFF BREED as PUREBREDS in January of 2000. CKC AR numbers will be accepted for registration as Purebred American Mastiffs. The American mastiff is a large, massive, powerful dog with a moderately broad head, dropped ears, kindly wide set eyes, of brown or amber color, the darker the better. Powerful neck, wide, deep chest, muscular back. Tail is wide at the root, tapering to the end, hanging straight in repose, forming slight curve. The overall appearance should be of proportions slightly longer in body than in height. Size: Height at maturity is typically 32 to 36 inches for males. Males average weight is 160 to over 200 pounds. Height at maturity for females is typically 28 to 34 inches. Females average between 140 and 180 pounds. Larger or smaller for both males and females is acceptable provided the dog is in good proportion and structurally balanced. Bite: Scissors bite preferred, but a moderately undershot jaw should not be faulted providing the teeth are not visible when the mouth is closed. Coat: The coat must be short and dense, and of a fawn , apricot or brindle color. However, as in other mastiff breeds, very rarely a puppy will have a longer coat; this is known as a "fluffy" and is extremely rare but not a fault.  Colors: Fawn, (varying shades from very light cream to darker fawn) also Apricot and Brindle. Brindle should have fawn or apricot as a background color which should be patterned with dark stripes. Puppies are all born dark, and lighten as they grow older, some becoming very light fawn by age one year; some retain dark hairs. (Not a fault.) White on foot, chest , nose and sometimes the chin, is not a fault. Muzzle: Muzzle should be dark in color, darker the better with same color around the eye orbits and extending upward between them. This is know as the "Black mask". All American Mastiffs must exhibit the black mask in order to meet the breed standard. Legs: Strong, set wide apart, heavy boned. Feet are large, round, and compact. Gait: In movement, the gait denotes power and strength; rear legs drive while forelegs track smoothly with good reach. Temperament: The American mastiff is a combination of grandeur, good nature, and gentleness. Dignity rather than gaiety. They are neither shy nor vicious. The well trained American Mastiff is calm, controlled, and confident. Understanding, patient, and loving with their family, especially children. They are generally aloof towards strangers. A well-socialized American Mastiff is friendly yet sensitive and alert to changing situations. They are not aggressive by nature but will defend their family if necessary. They respond to threats with judicious warnings and courageous action if needed.